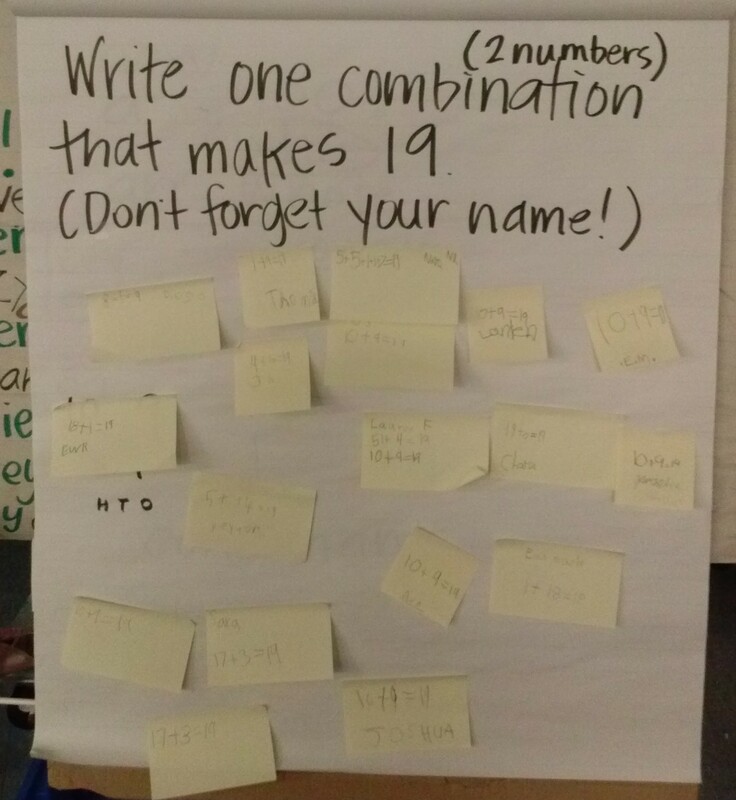 For years in 5th grade I posted about Math Warm-Ups and how we used them to get our brains ready for flexible math thinking every morning. Last year I didn’t use them much–for one reason or another–and this year they didn’t make sense until just recently. So here we go–join us to see how Math Warm-Ups work with young mathematicians and how we use them to stretch our brains! See that? 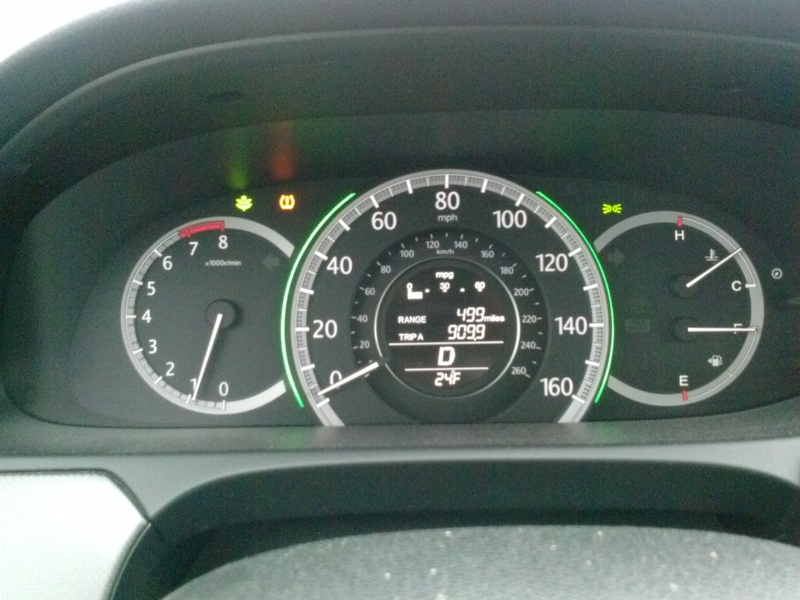 I think it says 2 miles an hour. On the highway. Seriously. This was the first day of Math Warm-Ups so I asked a question that I knew everyone could answer easily, as the point was to teach the purpose and procedure more than focus on a math concept. Still, we were able to pull in many things we’d been working on in math during our conversation about this warm-up. Now that I look at that picture, I wish I would have taken one right after we put all the post-its on it, because it was much messier, and that’s actually part of the conversation we had about what we could do with the data we had collected: someone suggested that it needed to be more organized. 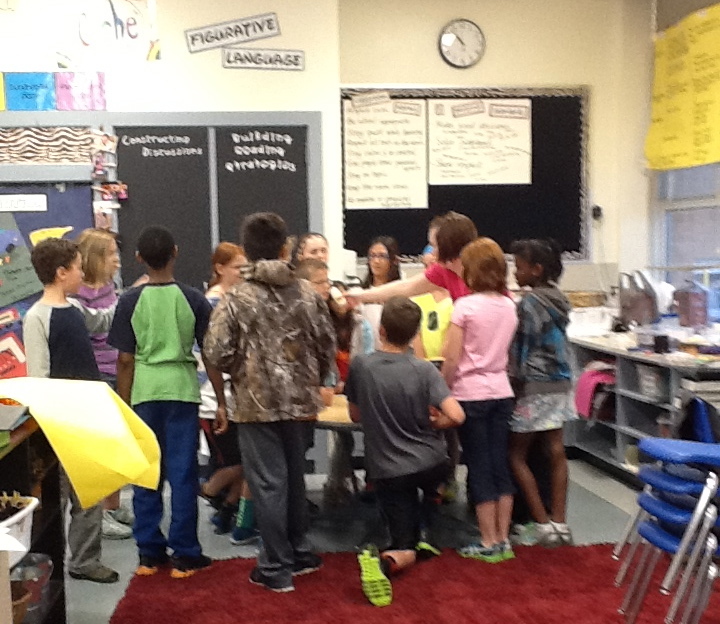 I also asked them what question we could answer with the information we had up on the easel. 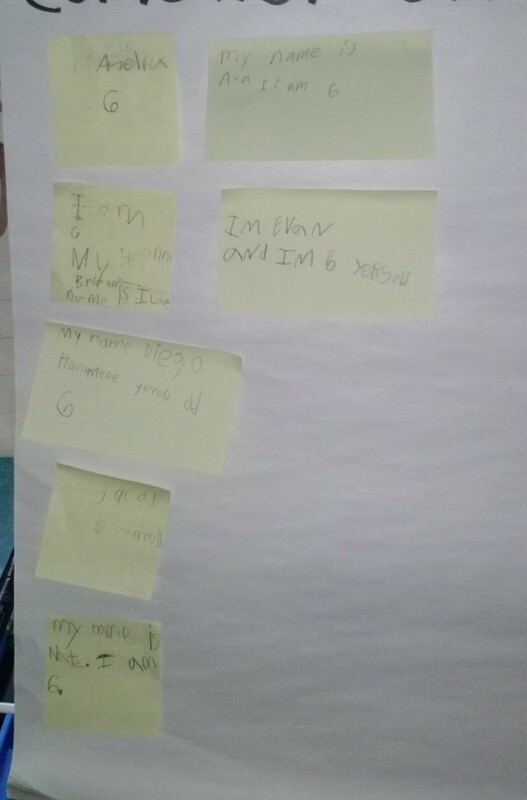 There were several good ideas, one of which was “Do we have more 6YOs or 7YOs in our class?,” hence why we ended up with two columns of notes. 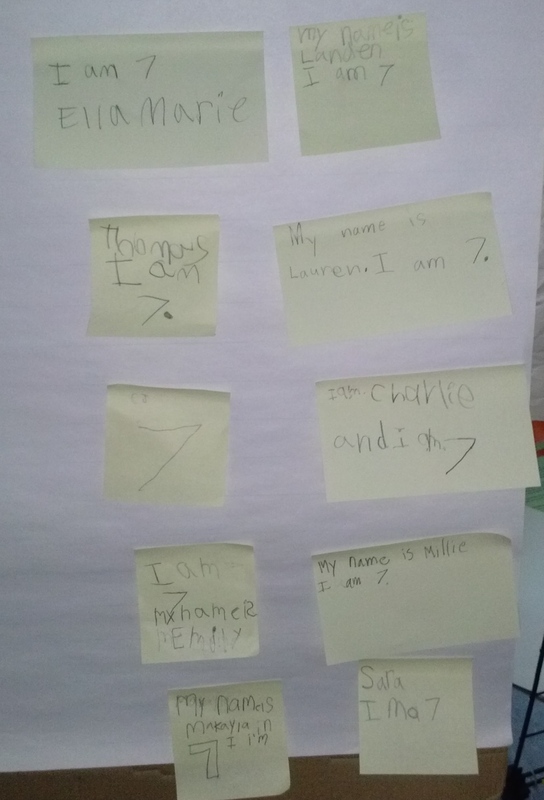 It was great to watch and listen when we started to analyze the notes and figure out how many of each age there were: they used what we’ve been learning about grouping objects to count, and recognized that I put them into the same shape as the 10 frames we’ve been looking at lately. They were similar to what our math racks look like, too, and they quickly and easily saw that there were 7 6YOs on this day and 10 7YOs. We talked about other questions we could answer, and also talked briefly about how this data could change based on the day (we had 3 friends absent). Another one I knew most could answer easily, but a little harder than yesterday. 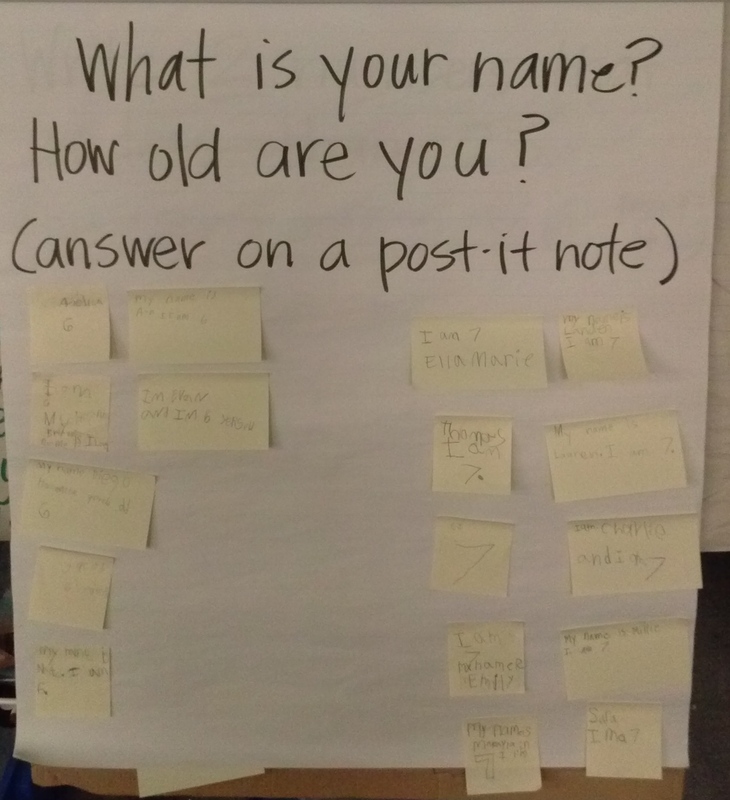 The focus today was on making sure we followed all the directions of the warm-up: answering the WHOLE question and putting our name on our post-it. There were still some who did not, so we made sure to talk about that when we reviewed this question during math. 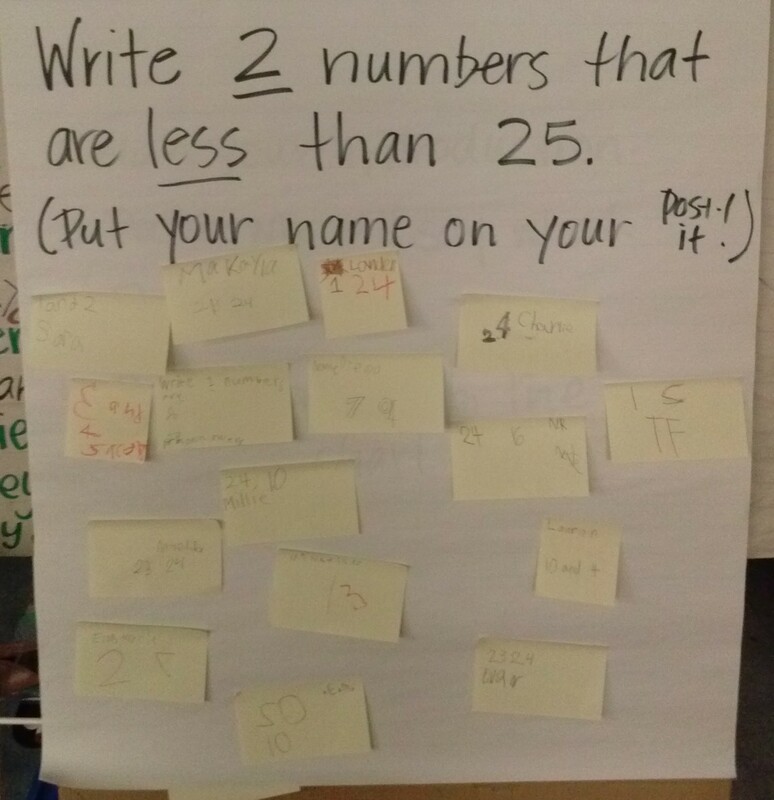 The words LESS and GREATER were also a focus, as was writing the number the way it should actually look–with digits in the right places AND going the right direction (which is still tricky for some friends at this point in 1st grade!). We’ve been working on flexibility with combinations up to 20, as well as most recently practicing doubles and doubles +1. This was interesting, then when most kids put 10+9 as their answer (which is probably the easiest combination to figure out). I noticed many who wrote combos that DIDN’T equal 19, so the conversation was around accuracy as well as how they figured out their answer. It also told me that as a whole, we need some more practice on this skill! This question was just one to see where we were with fractions, as we’re about to finish up that unit. The benchmark is just that kids understand 1/2s and 1/4s, but the “extending” on our rubric is 1/3s and I was pretty sure most kids could tackle that as well. And boy was I right! Now…I am not entirely sure if kiddos answered these on their own (like they’re supposed to) or if they worked together, so there’s more work to be done, but for the most part you can see that most of those rectangles (which is also part of this unit) are divided into 3 equal pieces! 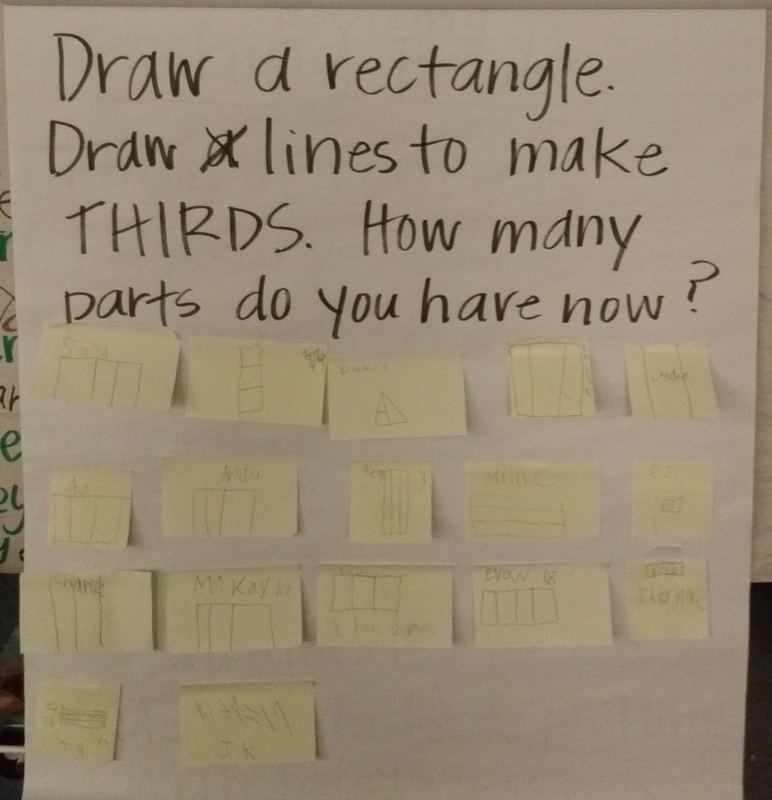 Even the way I worded the question gave me some information–info that I didn’t expect–when someone said, “I can’t just draw 1 line and make thirds. Can I draw more than 1?” Obviously that friend knew what was going on! I hadn’t done that on purpose, and so made the change on the chart for the rest of the friends who completed it. This is our first try with warm-ups this year and I am excited to see where they go! Great job, Rm. 202 friends! You did an AWESOME job! Remember last year when I told you all about Feast Week? Well, it’s that time of year again, for fractions at least, but not–it seems–for Feast Week. Instead, we’ve begun using some AMAZING new resources from Cathy Fosnot, that have helped our mathematicians think of fraction parts in a whole new way. My favorite part of math right now is the addition of Fraction Flex Time (man, it seems like we need to add a cute name to every thing fraction related…). After we finished the investigations in our Fosnot unit (which included figuring out the Best Buys, Oatmeal Problems and Gas Tank problems), our team sat down to figure out how to divvy up our kiddos between the 7 teachers we have (Yes, I said SEVEN!! Isn’t that FABULOUS!! ?? ), based on the information we’d gathered during our first few weeks of study. We made the groups small and intentional, and we planned for intense teaching and practice. Just like I shared in my post about our visit from Kara Imm from Mathematics in the City, number strings have become our new best friend. I mean, honestly, before this year I really didn’t spend much time on them, but now I am not sure I can go a day in math without one–they just have such HUGE bang for their buck. Just the other day we spent 45 minutes doing a number string together. It sounds like a long time, maybe, but in that 45 minutes (during which my small group of friends was TOTALLY ENGAGED! ), we were able to touch on the clock model, common denominators, reducing fractions, equivalent fractions, improper fractions and mixed numbers. So cool! 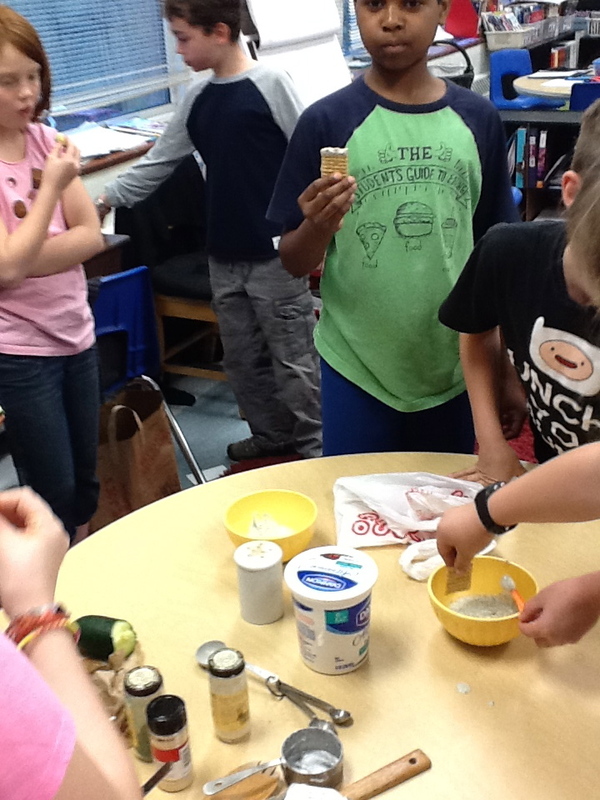 I have heard such positive feedback from my class since we’ve been doing flex time. Most mention that they love the small numbers, the focused nature of the lessons and the time they get to spend with the teacher. I agree, friends, I’m loving all those things, too! My favorite thing from our lessons lately is all of the “lightbulb moments” that I can actually see happen. It’s so great to see that look of AHA! on a kiddo’s face, and how often these moments even have a sound. All of the “ahs” I’ve heard lately have definitely made my days. Wow–I’ve been doing a horrible job with updates lately! I’ve left this one hanging for over a week, and I’m sure you were waiting on the edge of your seat to hear the rest of the story, right? Well, thanks for being patient. 🙂 The “rest of the story” will actually end up being told in two more parts. 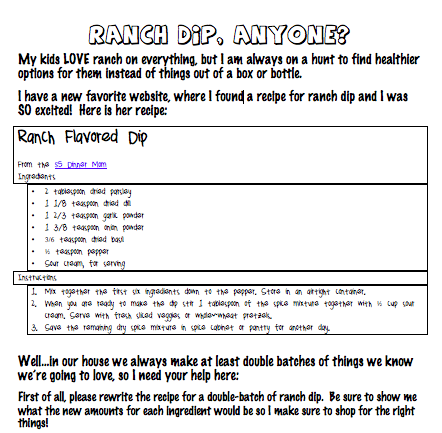 Remember how we were working with a problem about ranch dip and I was baffled by what was going so wrong? Well, what I don’t think I told you last time was that I had a conversation with a colleague of mine, who happens to be a fabulous math teacher, too, and we agreed there could have been many reasons why this was trickier than I had intended. I decided to tackle these issues one at a time. The first one we thought of was related to the context. I think I may have taken for granted the fact that my kids would know about teaspoons, tablespoons and just the whole act of mixing it all together. 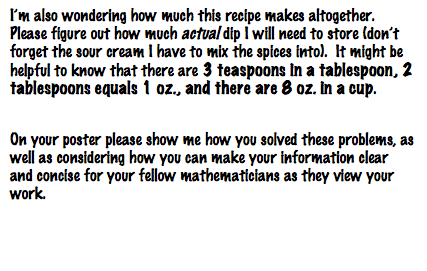 There were actually several kiddos who could not relate to what I was talking about with making the dip, so I decided to fix that problem. 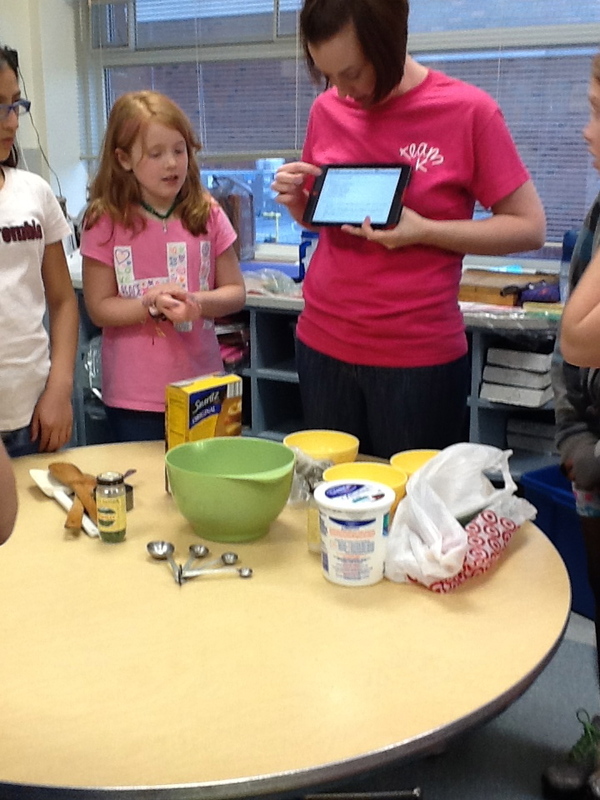 I hoped that using the recipe would help them better understand what I was asking them to figure out. So we got cooking! Sorry, this ones a little blurry, but we’re smelling the spices the recipe called for: onion powder, garlic powder, parsley and dill. Many hadn’t ever seen these before! Oh, and there’s basil in it, too! Smells yummy already! The recipe calls for sour cream, but I decided to use plain yogurt instead. Man, I must have been stirring fast! 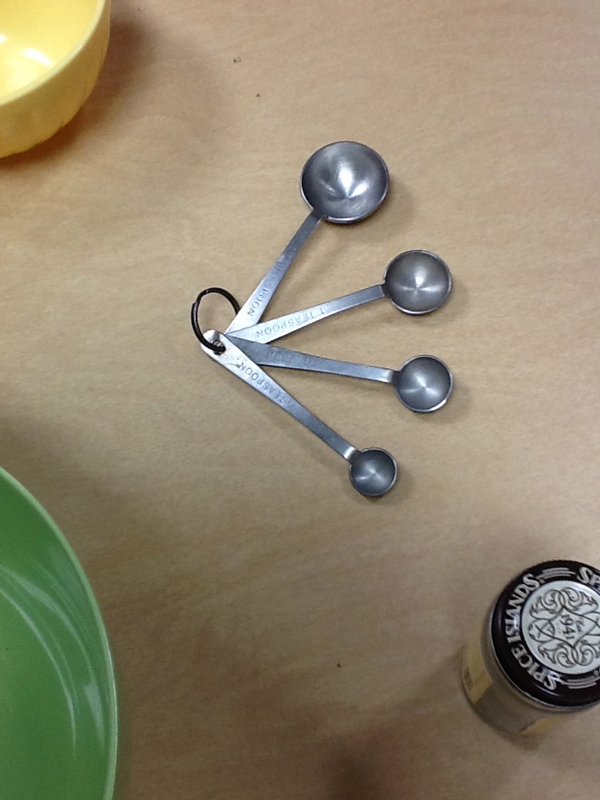 We discovered another part that was important (and in many cases missing) knowledge–knowing the difference between the sizes of teaspoons and tablespoons. Knowing that there are 3 teaspoons in a tablespoon was necessary for use in the final answer, but this was hard for some kids to image without seeing it. 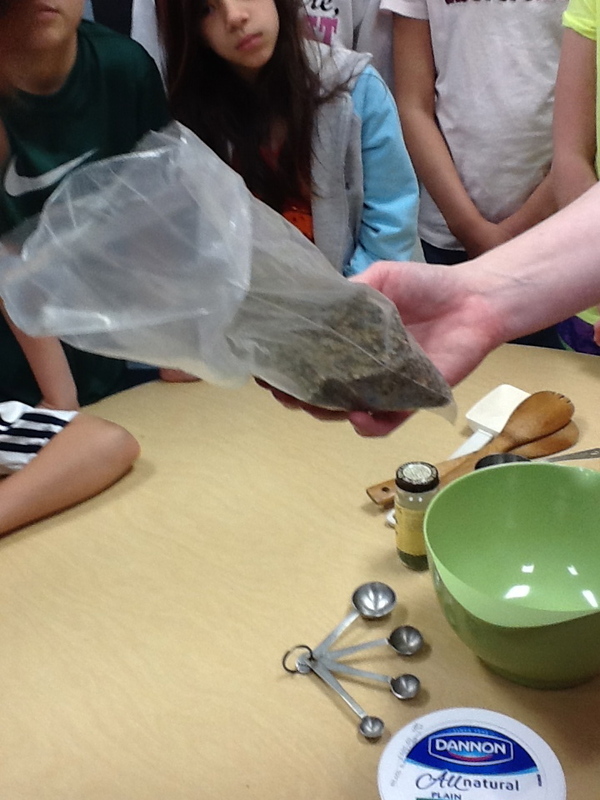 Spice mix ready to be stirred! 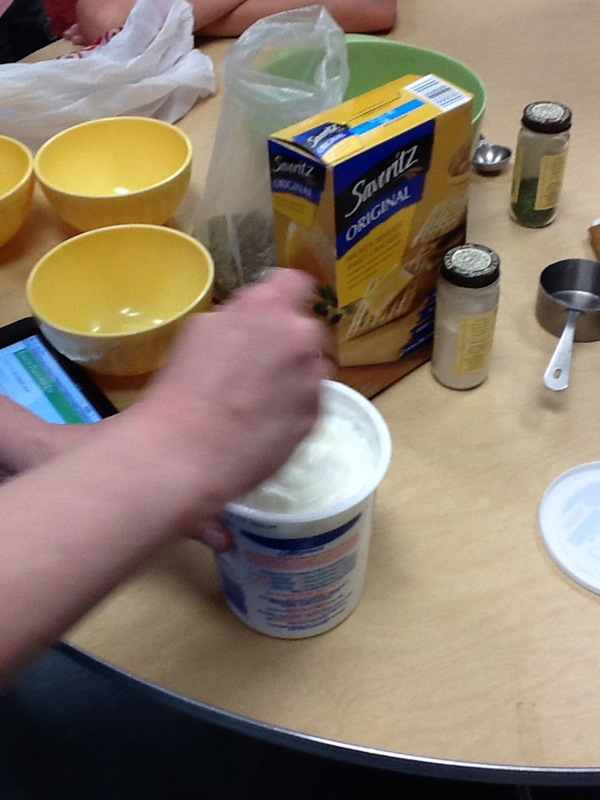 We needed a 1/2 cup of yogurt for every tablespoon of spices. Yum! 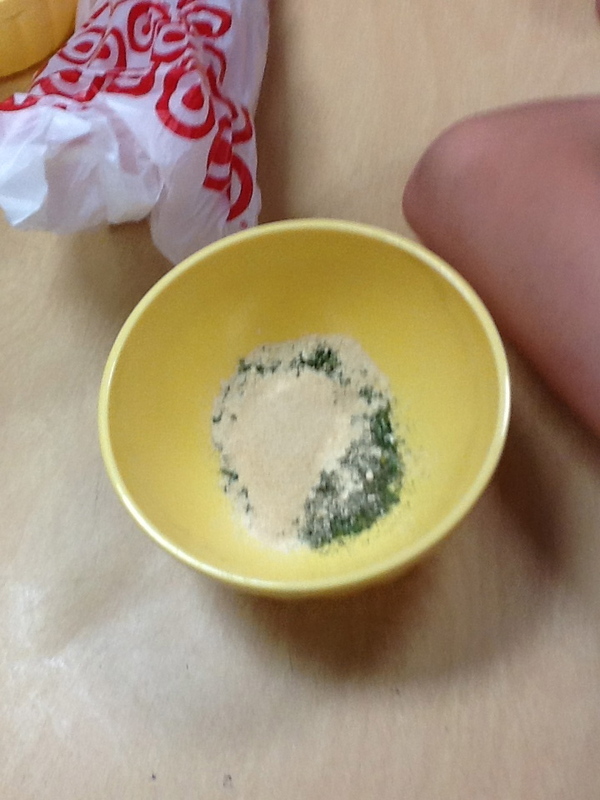 Ranch dip with cucumbers and Triscuits for our morning Math snack! 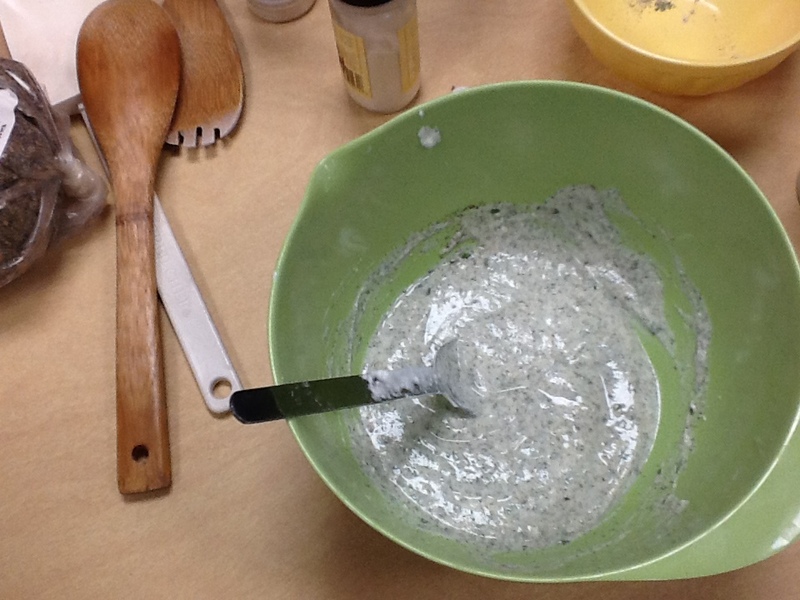 So while my cooking class didn’t solve every problem we were having (which I’ll tell you about in Part 3), I do think it gave many of them the ability to make connections they were unable to make before. 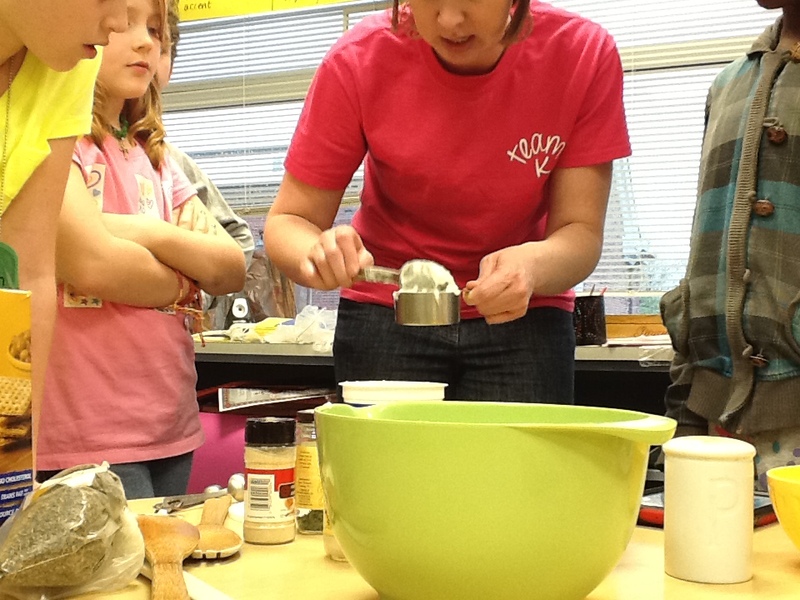 And there is so much math (and science) in cooking and baking, I don’t know why we don’t do more of it. 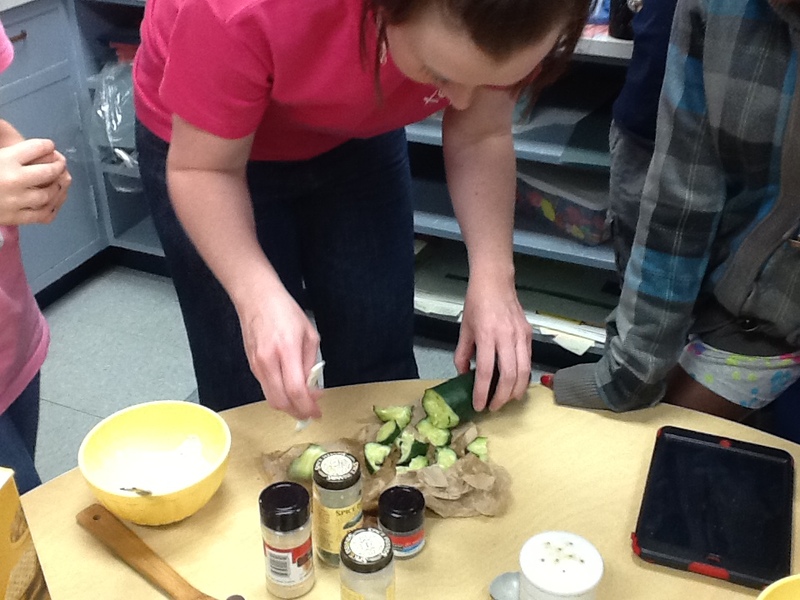 TOTALLY wish my classroom had a kitchen! It has also made me and my team think about how we want to purposefully involve more of these types of activities into our classes for next year. We’re thinking it would be a great addition and preparation for next year’s Feast Week, too.